Narrow paved streets with alley nooks are loud from the bustle of hungry locals. A beguiling aroma of pounded spices and wok fires fills the air, and in open kitchens chefs swing roti, boil stocks and cleave slabs of crisp pork belly. It sounds like a description of George Town, Penang or one of Singapore’s hawker centres. But this is Spice Alley, an outdoor street-food market that’s on Central Park’s Kensington Street development. The four permanent Spice Alley stalls are lined up across the façade of Kensington Street’s heritage terraces. Encircling them is a pool of sunlit stools, red lanterns, South-East Asian street-inspired murals and entrances which lead to hollowed terrace rooms with echoing halls, bare brick walls and the occasional table. 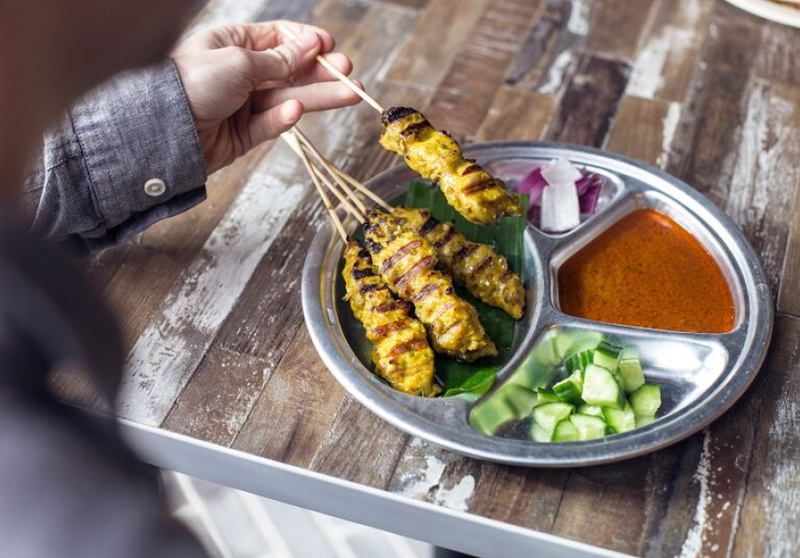 Depending where you sit it can either feel quite intimate or hectic and evocative of Asian hawker culture. And the best part? It's BYO (free of charge). Bring your own cups or buy them for 50 cents at the cashier’s desk. The closest bottle shop is Handpicked Urban Cellar Door on Kensington Street. 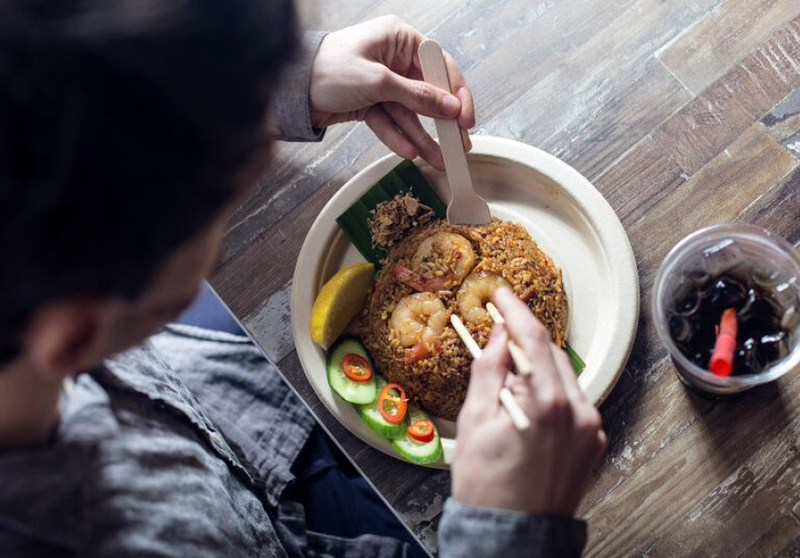 The stalls, run by veterans of some of Sydney’s most-popular South-East Asian restaurants, are true to hawker-centre tradition. Almost all of the classic street-food staples are $10 and under. The four permanent stalls will be joined by occasional pop-ups. As for the four regulars, we had a good poke around to give you a little guide on what to expect. Alex Lee is the man spinning the roti dough. 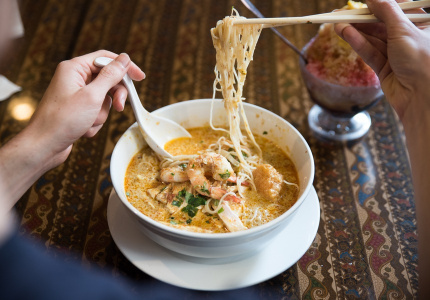 Before opening up at Spice Alley he was making some of Sydney’s best laksa, roti canai and satay at popular Singaporean restaurants Ginger & Spice and Temasek. Lee specialises in nyonya cuisine, a Chinese-Malay fusion with its history in early Chinese migration to South East Asia. The menu at Alex Lee Kitchen is the longest of the four. If you want any pointers on where to start, try the chatterbox rice, Lee’s newest interpretation of the Hainanese chicken rice dish he became famous for at Ginger & Spice. A triple-part chicken dish, Hainanese chicken is made up of chicken-stock poached chicken, chicken-infused rice and a cup of chicken soup served with sides of chilli, ginger and dark soy. Lee’s is juicy, tender and packs a soft jelly-like skin. The roti, which is pounded, spun and fried in Lee’s stall, is served hawker style; buttery and crisp next to sambal, chicken curry sauce and yellow dhal. Of all the four stalls, Old Jim Kee’s food is the best thematic match for the surroundings. On the paved alleys of Penang it’s common to see crowds packing into small kopi tiams and narrow single-dish restaurants craving two things: caffeine and comfort food. That’s exactly what Uncle Jim (who runs the namesake restaurant in Mosman) serves; sweet, frothed teh tariks (Malaysian milk tea), iced Milos, noodles and an array of fried snacks sold by the stick, drumstick or bite. The curry puffs are emerging as an early favourite, but we love the char kway teow, a heavier Malaysian pad thai that Uncle Jim prepares Penang style, with sweet Chinese sausage and crispy bits of pork lard. For something spicier and saucier, try the fish lathered in crimson sambal and served over rice. Tiw Rakarin is probably best known for his work as the executive chef at the growing Vietnamese empire of Mama’s Buoi. 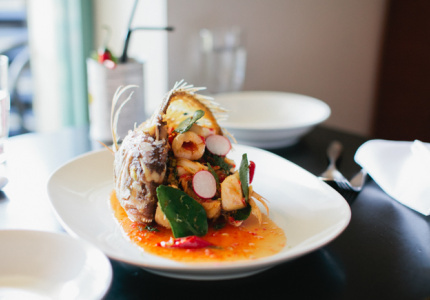 Before then the young chef worked with the food of his ancestry, stirring green curries and preparing pad thais at Rambutan and Alphabet Street in Cronulla(link). That’s exactly what he’s serving now at Bang Luck. The short menu of Thai street-market curries and noodle dishes is joined by some of Rakarin’s specialities. There are glistening, succulent slow-cooked pork ribs with a flat-noodle soup, a spicy and textural papaya salad with chicken ribs, mussel pancakes and vegetable rice dumplings packed with radish and roasted peanuts. He’s also doing a single dessert, a plate of coconut-sticky rice with mango and roasted mung beans. Hong Kong Diner’s like a microcosm of Dixon Street, with all the great fast foods of Chinatown’s main street; Superbowl’s congee, East Ocean’s har gau (prawn dumplings) and Old Town’s hot-pot all in one place. The team behind Liverpool Street’s Chef’s Gallery is in charge, but this offering is less elegant and more comfortable. The congee is generous in size, unusually flavourful and an excellent base to mix your other dishes with. 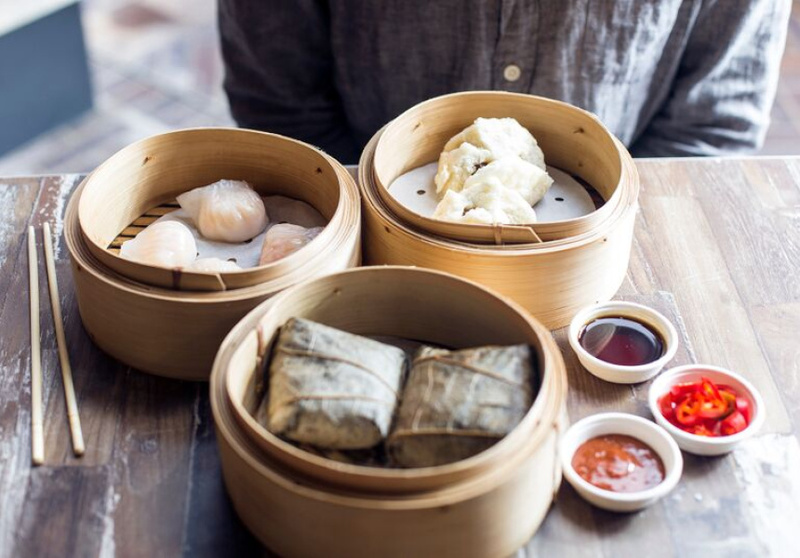 Good contenders for sides are crispy dough sticks, seasonal vegetables smothered in oyster sauce or the sumptuous slow-cooked brisket and tendon, which comes gooey and stacked on a bed of dry noodles. Spice Alley is a cashless food venue. Either pay wave or use a topped up Spice Alley credit card. This article was updated on January 24,2018.